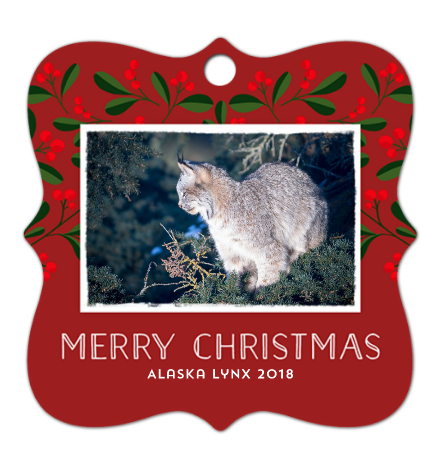 FOURTH in the series of LYNX FAMILY Christmas Ornaments, for 2018. One of the much-grown lynx kittens who returned to play in the snow, surveying his sunny domain from 30 ft. up a hemlock tree. 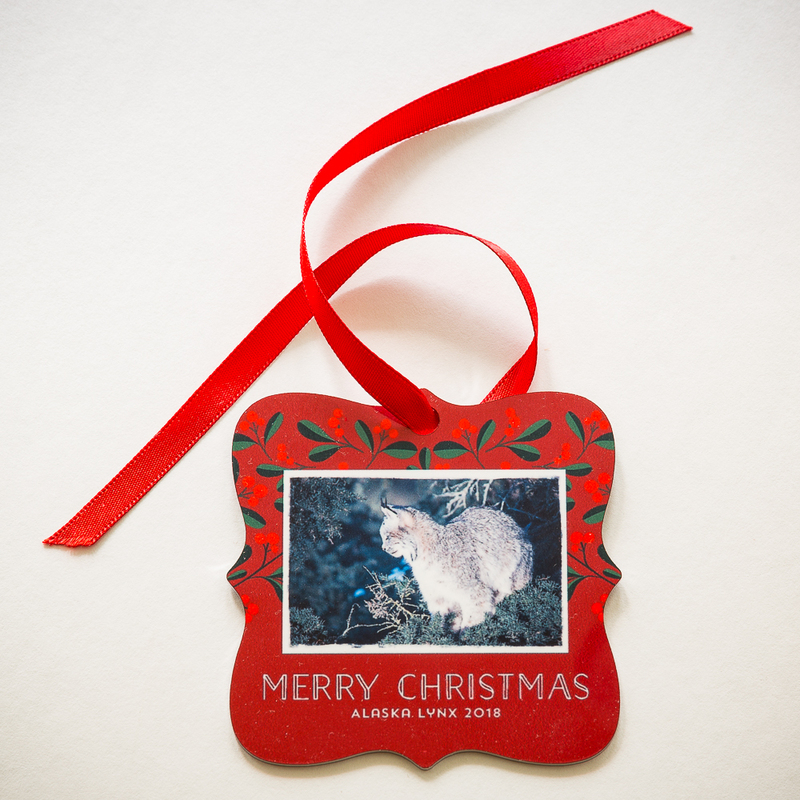 Beautiful two-sided 3x3 metal ornament comes with a red ribbon for hanging. Each is handcrafted in the US by a family-owned business.